Today was Day #5 of Chocolate and Licorice Theme Week. 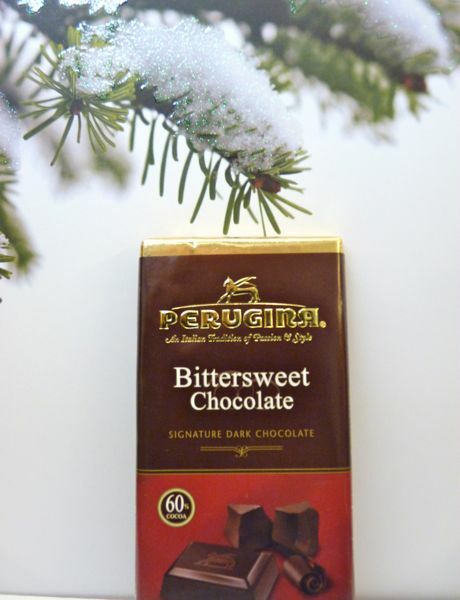 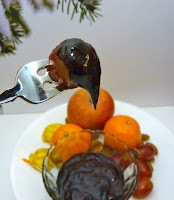 I took a nibble of this Perugina (Nestle) Bittersweet Chocolate bar; and I melted the rest to make Perugina chocolate fondue -- flavored with Metaxa Ouzo, a bit of tangerine rind, and a tiny pinch of salt caramel. 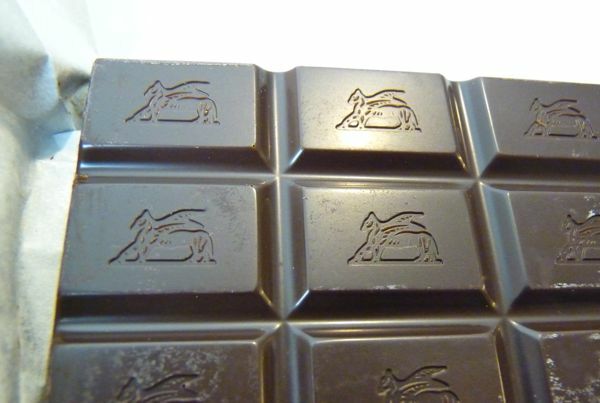 The hint of salt helped cut/balance this 60% cocoa bittersweet bar that seemed to be more sweet than bitter. The warm, velvety smooth fondue was an easy to make (microwave and stir) dip for fresh fruit, and a good cold weather treat. 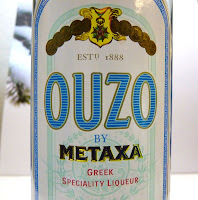 I believe this Metaxa Ouzo (a licorice-flavored Greek apertif) was made from anise, licorice and fennel -- in addition to grapes, herbs, berries, mint, wintergreen and hazelnut.